Experience the vacation of your dreams at El Cid Resorts, where authentic Mexican hospitality sets the stage for an extraordinary escape. Select from three vibrant destinations — each featuring oceanfront accommodations, indulgent spa services, and warm, friendly service. Enjoy breathtaking Pacific Ocean sunsets and world-class golf courses at our El Cid Mazatlán Resorts. Dive the mysterious Mayan underground rivers at El Cid Resort in Cozumel – where you’ll find some of the most beautiful cave and cavern (“cenote”) diving in the world. Or snorkel the sparkling Caribbean waters of Puerto Morelos National Reef Park at Hotel Marina El Cid Spa Beach Resort, a pristine threshold on the quieter side of Cancún/Riviera Maya. Whether in search of a México family vacation or a romantic getaway for two, El Cid Resorts has a destination for you. With a vision aimed at generating jobs and economic development in Mazatlán and Sinaloa, our group was formed in November 1972. Don Julio Berdegué, founder and chairman of the board of directors, inaugurated El Cid with a Country Club and nine-hold golf course. Over the years, El Cid’s golf course has grown to 27 holes, nine of which were designed by Lee Treviño, a globally recognized golf personality. 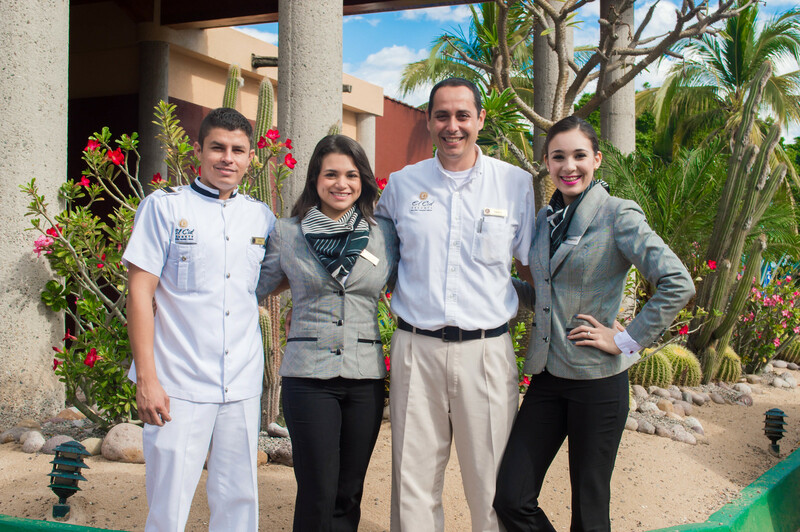 From there, El Cid Resorts and Vacations Club have continued to develop and grow in order to best serve our loyal guests and members. amenities expected by discerning travelers, that meet the high standards set by El Cid.